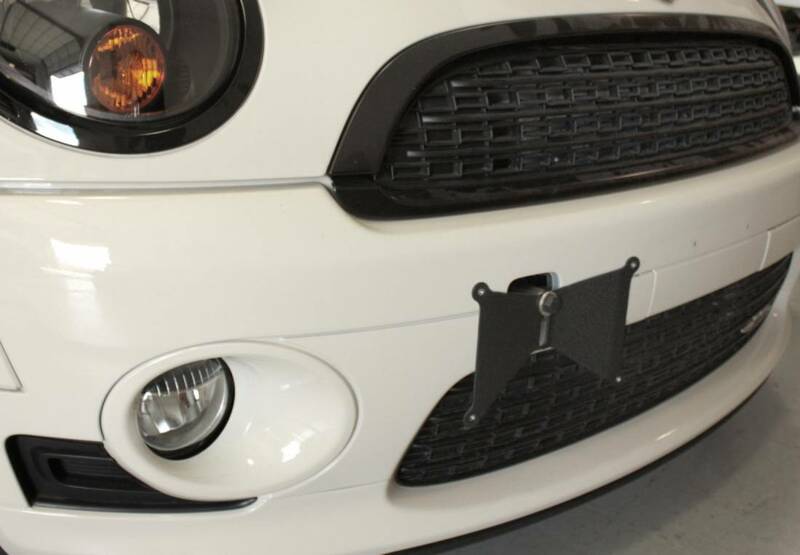 Now MINI enthusiasts can have a clean and simple way of custom mounting a front license plate, no bumper cutting required. No more tickets when you are rolling down the street, and yet you can still show off your clean front end at a car show. 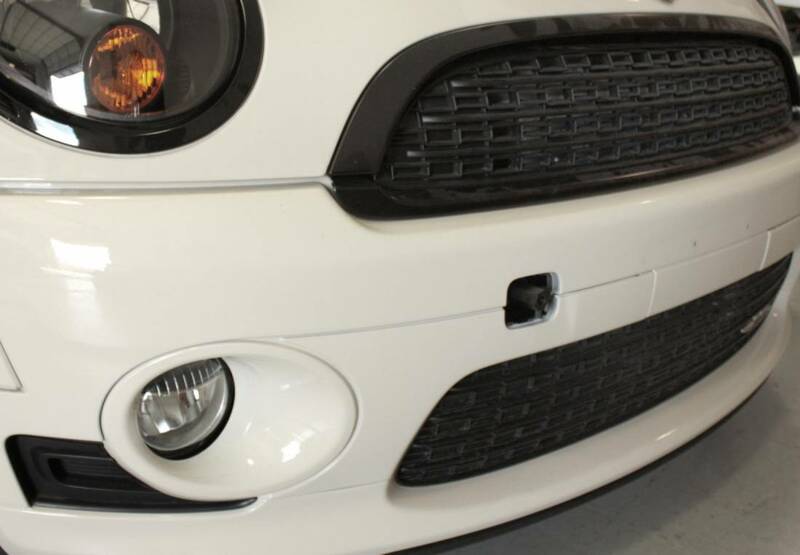 Plus adds a unique look to your MINI! Read more below! Our license plate relocate attaches to the bumper via a small opening within the front fascia. MINI places a nice threaded hole for the factory tow hook in case of emergencies in the front bumper. 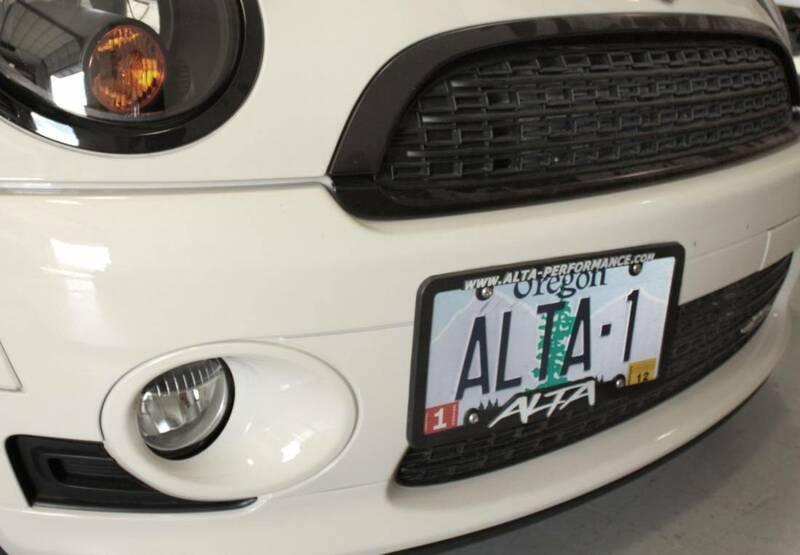 The ALTA Front License Plate Relocate easily threads into this hole and can be removed in case you need a tow. This tow hook mount supports the plate without the need for any screws or fasteners that would otherwise damage your bumper. The ALTA Front License Plate holder is made of thick plate aluminum, laser cut, then folded in a press break to add rigidity and eliminate any flex. 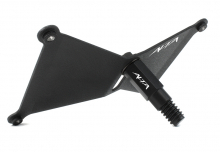 It will not bend, flex, or rotate like competitors' parts. 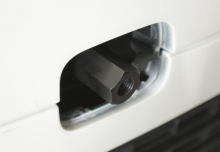 By eliminating excess movement, we have helped prevent damage to your car's paint. 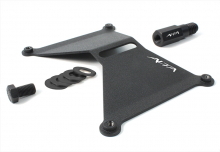 The ALTA design allows for easy adjustments up or down to get the exact look you want, giving you the flexibility to place the plate perfectly on your car regardless of bumper style or aftermarket light installation. The ALTA Front License Plate Relocate is contoured to form perfectly with your front bumper. 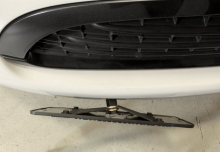 Having equal spacing between the relocate and your bumper along the relocate's length keeps the profile slim and looking great! 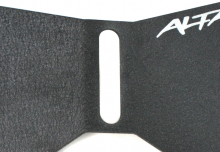 Our plate holder is made from laser cut aluminum plate for rigidity on the road then texture powdercoated in a wrinkle black finish. Threaded inserts are installed in each corner eliminating the need for additional hardware and eases installation. The tow hook adapter is CNC machined from an aluminum hex bar stock and anodized black for corrosion resistance. 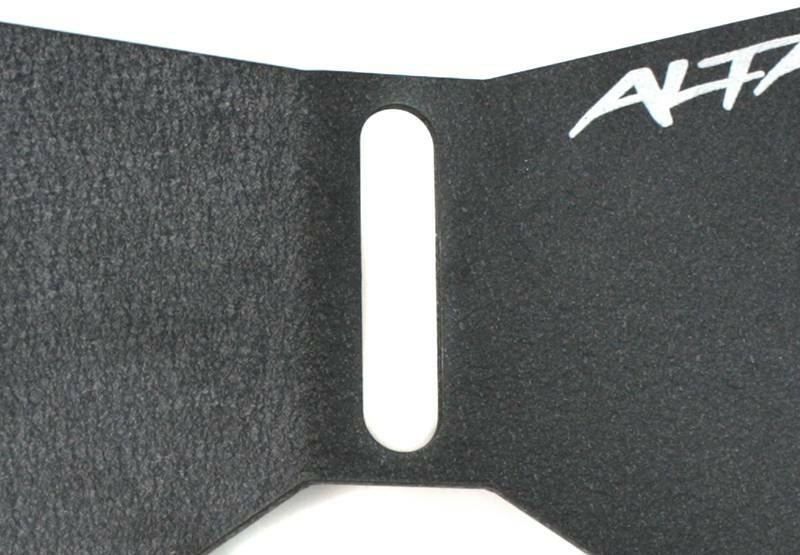 Combined they make a sturdy and attractive addition to your MINI.